With the assistance of our advanced production unit, we put forth an extensive range of Tractor Linkage Parts that help in proper functioning of vehicle. Reckoned for fine finish and dimensional accuracy, these linkage parts are in conformation with prevailing quality standards. We provide our range of Tractor Linkage Parts in different dimensions, sizes and models to suit the varied requirements of clients. We are appreciated for our high grade Top Link Assembly. Owing to their superior performance and low maintenance, these are highly preferred by our clients. These are made using advanced technology and quality raw materials. 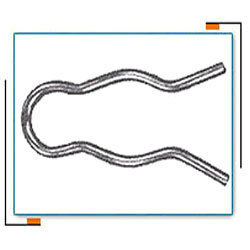 We are manufacturer and exporter of wide range of Ball for Upper Links. 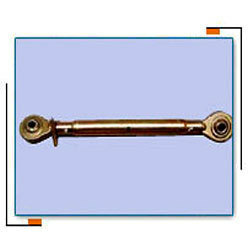 Engaged in manufacturing and exporting of Red Head Forged Hitch Pins. 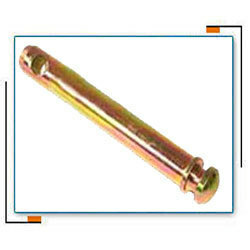 We are manufacturer and exporter of wide range of high quality Hitch Pins which are widely used in automotive industry and farming equipments. 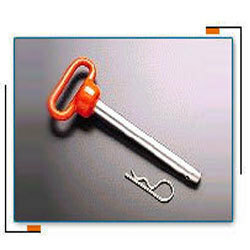 Manufacturer and exporter of Automotive Top Link Pins. 100201 0 Top Link pin 5/8" 3" 4-7/16"
100202 1 Replaces ford 9N-560, Ferguson 195647-M1 3/4" 2-3/4" 4-1/2"
100203 1 Long to link pin; replaces Ferguson 195589-M1, Ac39942. 3/4" 3-7/8" 5-1/2"
100204 1 Extra long top link pin; replaces ford E381T9 3/4" 4-3/4" 6-3/8"
100205 2 Replaces ford E27N995272 1" 3" 4-3/4"
100206 2 Replaces ford C5NN486A 1" 4-3/8" 6"
100207 2 Replaces ford E2016F9; AC345552 1" 5-3/8" 7-1/16"
100208 3 Clevis Toplink pin 1-1/4" 4-3/8" 6-1/2"
We are manufacturer and supplier of Cotter Pins. 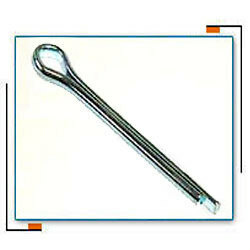 We are manufacturer and exporter of Open End R-Pins. 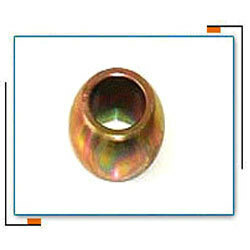 We are engaged in manufacturing and exporting of high quality Ball For Lower Links. 101105 1 7/8" 2-1/4" 1-3/8"
101106 2 1-1/8" 2-1/4" 1-3/4"
101107 1 7/8" 2" 1-3/4"
101108 2 1-1/8" 2" 1-3/4"
101109 2 1-1/8" 2-1/4" 1-3/8"